As one of the city’s most trusted medi-spas, Mirror Mirror Beauty Boutique is proud to have been bestowed the elite title of Diamond Status. Houston’s premier medi-spa shines amongst a small handful of aesthetic providers across the country who have received this top honor from CoolSculpting. Mirror Mirror Beauty Boutique is one of Houston’s top CoolSculpting providers. 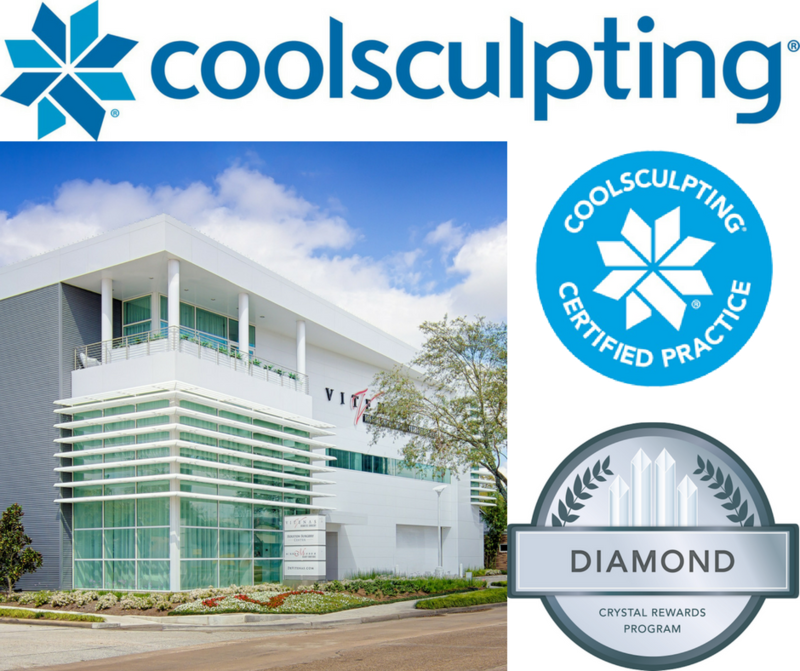 Paul Vitenas, MD, FACS is proud to announce that his noninvasive medi-spa, Mirror Mirror Beauty Boutique, has earned the title of Diamond Status from CoolSculpting. As the founder of Vitenas Cosmetic Surgery and Mirror Mirror Beauty Boutique, Dr. Vitenas is honored to be the only Houston practice to receive the Diamond Status during the third quarter of 2018. This is the third time that Mirror Mirror Beauty Boutique has been named a Diamond Level Status recipient. Approved by the Food and Drug Administration in 2011, CoolSculpting has quickly grown in popularity, becoming the most requested nonsurgical fat elimination technique in the United States. Using the science of Cryoplipolysis, CoolSculpting freezes away fat without the need for incisions or sutures. The noninvasive technique takes only 35 minutes, reducing targeted fat by up to 25%. CoolSculpting is a pain-free, in-office procedure, requiring little to no downtime. While the results are not immediate, over the following three to four months, the full benefits of CoolSculpting can be seen. As the range of CoolSculpting applicators come in a variety of shapes and sizes, the technique can improve almost any area of the body, including the abdomen, inner and outer thighs, lower back, upper arms and submental fat, located under the chin. By providing the title of Diamond Crystal Status, CoolSculpting alerts consumers that an individual provider consistently offers top-notch customer service, successfully achieving desired results. Only a small percentage of aesthetic providers across America have the high standards, consistently adhere to best practices, that will allow them to boast CoolSculpting’s Diamond Crystal Status. Mirror Mirror Beauty Boutique offers exceptional CoolSculpting results in a spa-like atmosphere. With four CoolSculpting machines, patients have the option of DualSculpting, treating two distinct areas during a single treatment. Dr. Vitenas’ handpicked aesthetic team is an expertly trained staff, and all providers are graduates of the CoolSculpting University in California. With free Wi-Fi and Netflix, Mirror Mirror Beauty Boutique’s patients are assured the best in comfort and results. Mirror Mirror Beauty Boutique is one of Houston’s top CoolSculpting providers. The medi-spa was founded by Dr. Vitenas, a board-certified plastic surgeon, as a safe and peaceful destination for patients wanting the hottest, noninvasive techniques and treatments. Bringing over 30 years of aesthetic experience, Dr. Vitenas and Mirror Mirror Beauty Boutique offer a full range of innovative procedures to patients not yet ready for surgery or looking to maintain the results of a cosmetic surgery procedure. For additional information on CoolSculpting, contact Mirror Mirror Beauty Boutique at 281.810.9083. CoolSculpting consultations are always complimentary for new patients. Mirror Mirror Beauty Boutique is located on the first floor of the Vitenas Cosmetic Surgery building, located at 4208 Richmond Avenue. More information on CoolSculpting can be found on the their website, including the details on what it takes to become a Diamond level practice.